Gordon’s Poems – The Adam Lindsay Gordon Commemorative Committee Inc.
Adam Lindsay Gordon was a literary genius and he set down all his sights, sounds, and feelings into the form of poetry, mostly with a pencil whilst horse riding from station to station. 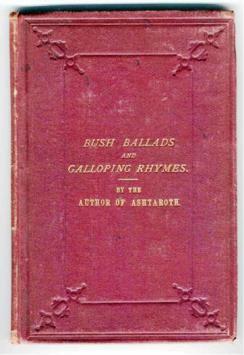 In all of his 16 years in Australia, Gordon published four books of poetry and wrote numerous articles for newspapers. He was his own harshest critic, discarding entire poems at whim when a single word exasperated him. All the experiences that Gordon encountered in the South East of South Australia were completely foreign to him. The landscape, flora and fauna and the weather with hot dry summers and clear starry nights. Also the nearby ocean fascinated him. I would have her shield me with shining breast. Gordon left no doubt that he held the horse in high regard. Were allotted a graver vision. The horse may at least rank second. Gordon’s verses have a human touch direct and sincere that only an expert horseman could pen. A loin rather light, but a shoulder superb. 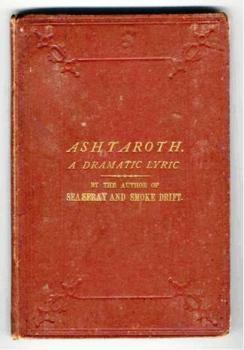 Published in 1867 by Clarson, Massina, and Co., Publishers, Melbourne. Gibbs, Shallard and Co., Sydney. 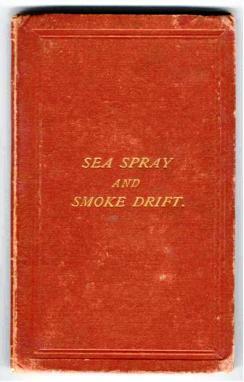 Published in 1870 by Clarson, Massina, and Co., General Printers, Little Collins Street East, Melbourne.